As I walked into the front room and looked outside, I noticed quite a large group of birds , I could see their punk-like heads and thought they were possibly Waxwings, I quickly grabbed my binoculars and there they were...WAXWINGS! 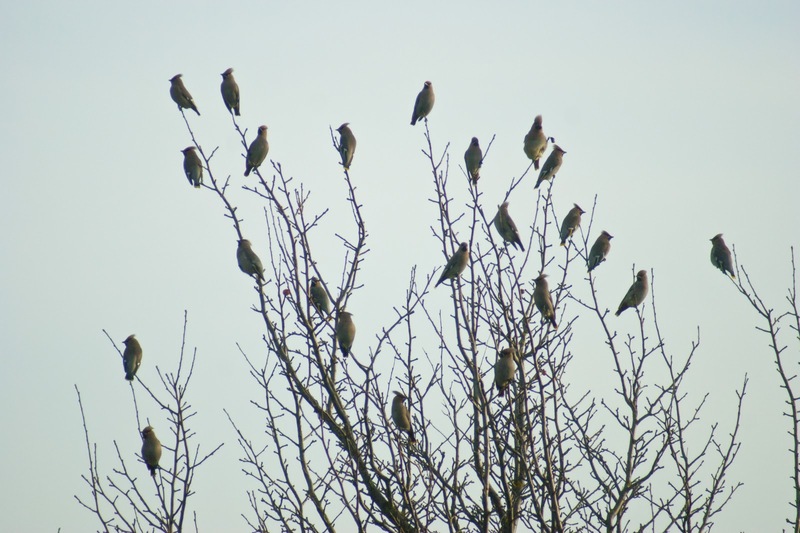 This is the second time for me seeing Waxwings. The first time was last year in October, on the very same tree (photo below) but there were only two - better than nothing I guess! So this year I have been keeping an eye out hoping some would return again, and they did - 22 of them! 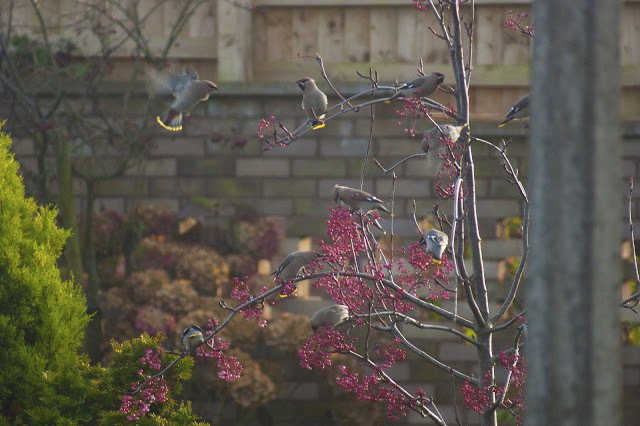 I managed to get a few photo's, not great as they moved so fast tree to tree, but its another thing crossed off the list for this year (a photo of Waxwings).